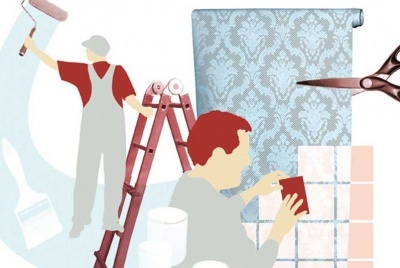 Home > Bathroom > Fitting a Bathroom: A DIY Job? Many DIYers decide to take on the job of fitting their own bathroom, but is it a good idea? Natasha Brinsmead looks into it. Fitting a new bathroom undoubtedly requires time, patience, a moderate level of DIY knowledge and the right materials. Many self builders and renovators choose to take on the job of installing a new bathroom on a DIY basis, whilst others choose to place the task in the hands of professionals, such as plumbers and tilers. But which option is best for you? Are you up to the job, what will it involve and will taking it on yourself ultimately save you time and money, or do the exact opposite? There are lots of reasons why taking on the job of fitting a bathroom on a DIY basis is a good idea. The main reason why people choose to tackle this job themselves as opposed to calling in the professionals is, obviously, to save money — making it one of the most popular jobs taken on by keen DIYers. In fact, Which? 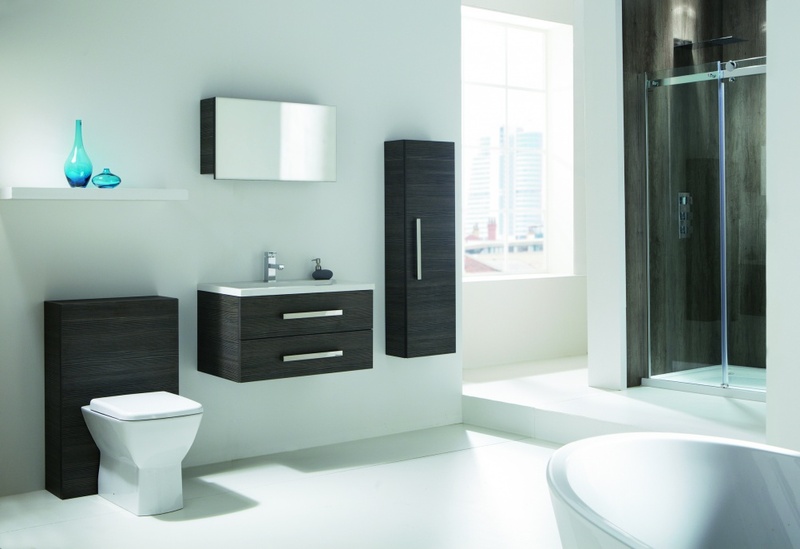 estimate that fitting your own bathroom suite can save you 70 per cent of the overall cost. Other websites that are worth paying a visit for step-by-step guides are wickes.co.uk and homebase.co.uk. Some jobs are easier than others and what you choose to undertake should depend on how confident you are that you can do the job well. Removing the old tiles and sanitaryware should be high on the list of jobs to tackle without professional help. 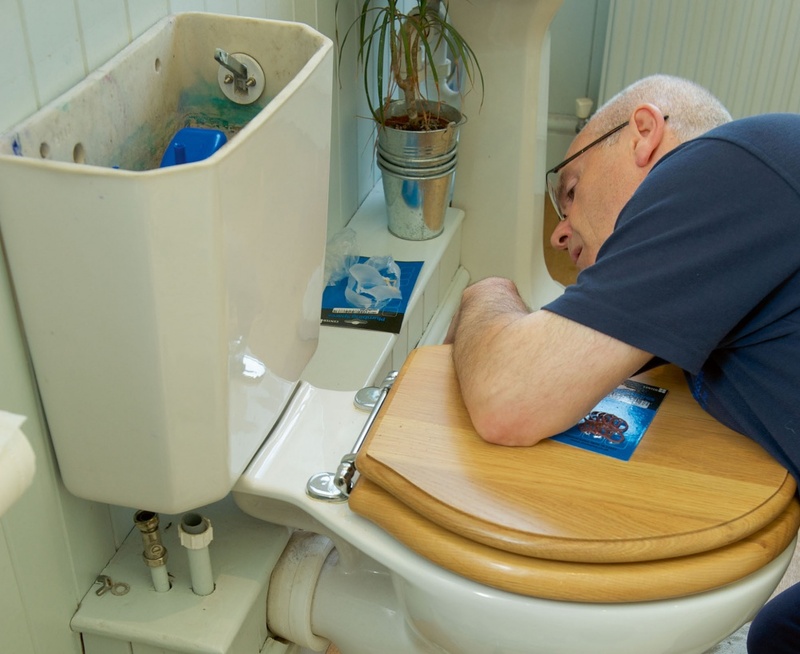 Simple plumbing jobs, such as connecting waste pipes, are also well within most DIYers capabilities, as is tiling, depending on the type of tiles you have chosen. If you are replacing an old bathroom, keeping the new sanitaryware in a similar position to the old will avoid extra plumbing work. Where things start to get a little more complicated are when non-standard and very expensive fittings and fixtures have been chosen. 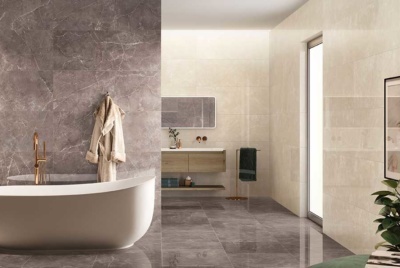 If, for example, you choose large-format stone tiles for the walls, which can easily weigh up to 14lbs each, you could find yourself struggling — and even if you do manage to get them to stay on the wall, you could find you have spent a large portion of your budget on tiles which now look uneven and chipped. Likewise, if you choose a spa bath, or a very heavy stone bath, or decide to opt for multiple recessed spotlights, you could find the job a whole lot trickier and more time consuming than someone who has plumped for a standard suite and square, ceramic wall tiles. Wetrooms too come with their own set of rules, with proper drainage and waterproofing being vital if they are to work properly. This is not to say it can’t be done, but the pros and cons do need to be carefully weighed up before a job is begun — or else calling someone in to fix your mistakes before starting all over again will just cost you more. The professionals involved in fitting a new bathroom might include a plumber, tiler and electrician — and in some cases a plasterer. Some bathroom fitters are skilled in all three of these. Providing you hire the right professionals for the job (try to stick to those personally recommended to you or at least ask to see their previous work), their experience and skill will mean your bathroom is fitted within a quicker timescale than if you carry out the work on a DIY basis. 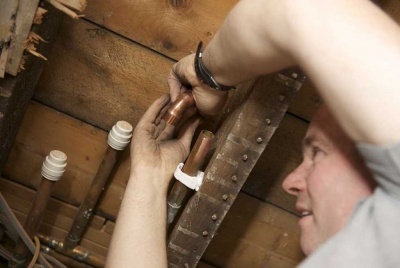 Whilst it is not rocket science to carry out the plumbing required in the installation of a bathroom, professionals are equipped with the right knowledge to do it quickly and will know what to do should any unforeseen problems arise — they should have seen it before and, with any luck, will not need to refer to their DIY handbook for help. 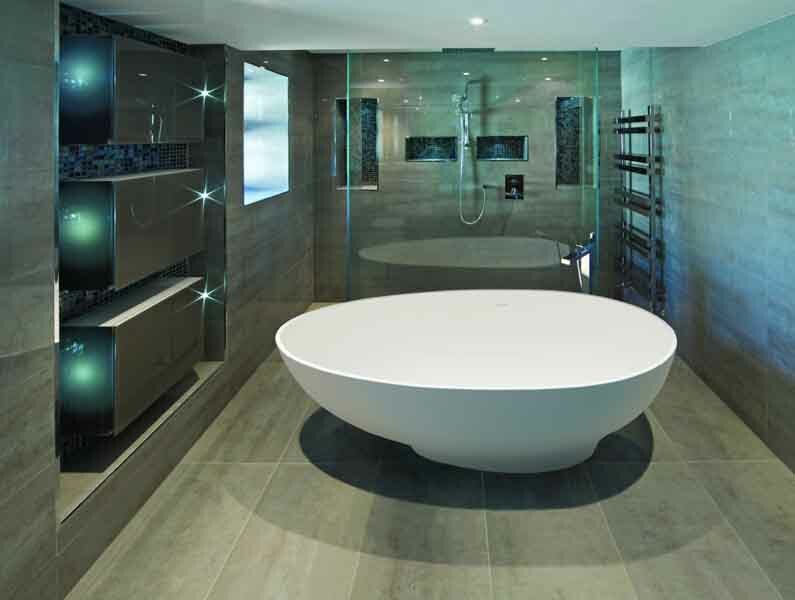 Bathroom renovations must comply with Building Regulations and any professional should be fully aware of the considerations that need to be taken into account regarding lighting, ventilation, draining and plumbing, giving you one less thing to think about. Of course things do not always run smoothly on bathroom projects, even with skilled professionals involved. Ensuring that the tradespeople involved are kept informed of what is happening when, and are available when you need them, will ensure the project runs smoothly, as will only using those that have been recommended to you. 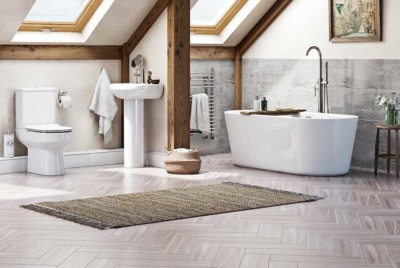 If you are using non-standard materials and fittings, such as stone tiles or spa baths, or if you are planning on a wetroom, choose professionals who have experience with dealing with this type of project. Most experts agree that the ideal solution is to combine a DIY approach with some professional input. “We recommend a healthy mix of DIY and contractor roles — after all, taking on more than you can handle wastes more money than you’re saving,” says Pete Shaw of Better Bathrooms. So, whilst you might feel comfortable removing the old bathroom and carrying out the tiling and decoration, you may feel that the more complicated plumbing or wiring work is best left to the professionals. Only take on as much as you are confident doing — or you could end up with a project that drags on and eventually devalues the house. Although you might want to work out what a plumber will charge on an hourly/day basis (around £40/hour is a good starting point), you should get a price for the whole job rather than agree on a day rate — or costs could spiral out of control.